Want to be in the room where it happens? Stay home on February 15! 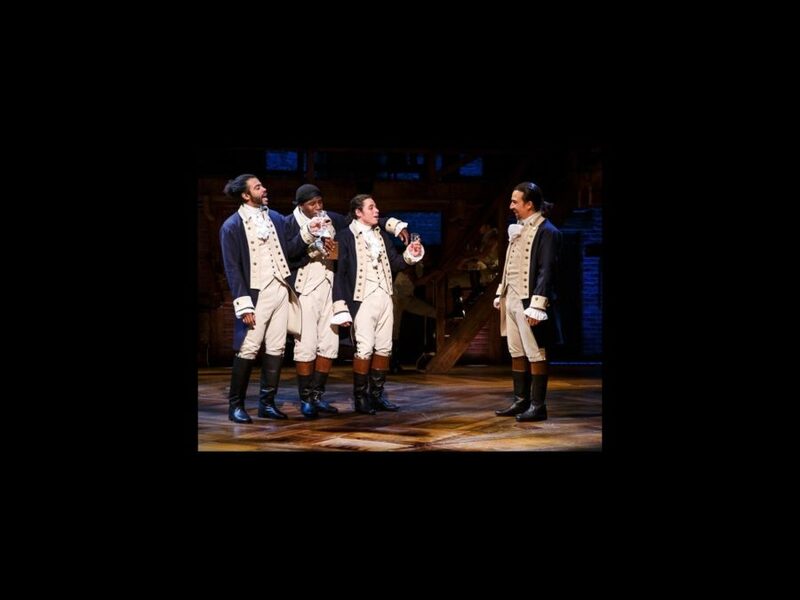 Gargantuan Broadway hit Hamilton is set to feature on this year's Grammy Awards. Creator and star Lin-Manuel Miranda, along with the cast of the new musical, will perform a number directly from the Main Stem's Richard Rodgers Theatre. It marks one of only four times the Grammy telecast has included a performance live via satellite and the eighth time musical theater has featured in the lineup (American Idiot was the most recent). "We're going to do the opening number, scream with joy, and then celebrate the fact that we were just on the Grammys," Miranda told USA Today. "Best night ever." Starring Miranda in the title role, the cast also includes Jonathan Groff as King George III, Christopher Jackson as George Washington, Leslie Odom Jr. as Aaron Burr, Phillipa Soo as Eliza Hamilton, Anthony Ramos as John Laurens/Phillip Hamilton, Daveed Diggs as Marquis De Lafayette/Thomas Jefferson, Renée Elise Goldsberry as Angelica Schuyler and Javier Muñoz as Hamilton alternate. Check out the cast announcing their news below!